The wolf park can be visited throughout the week. 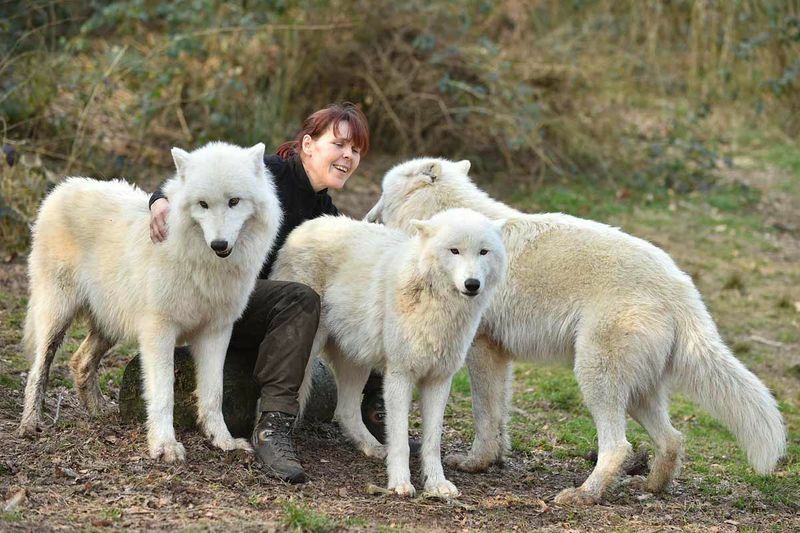 On every first Sunday of the month at precisely 4 pm you can watch the following unusual sight: Turning herself into a human Alpha wolf, Tatjana Schneider steps into the enclosure where her 24 wolves live in the forest around Merzig. After that, there is some joint howling and cuddling (yes, even if that sounds strange). Just like wolves (and humans) do.